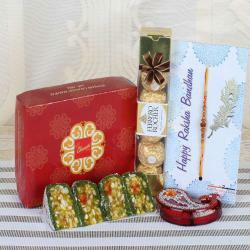 If you want to surprise your loved one on the eve of Raksha Bandhan, then you can preferably go with the Precious Rakhi Puja Thali Hamper. 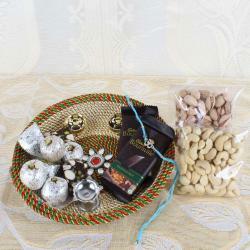 This hamper comes in a decorative thali with mini Cadbury celebration pack. 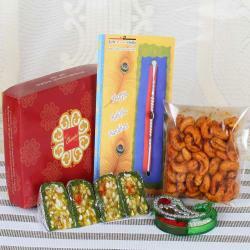 Hence, this beautiful gift hamper will provide a pleasant surprise for your brother. 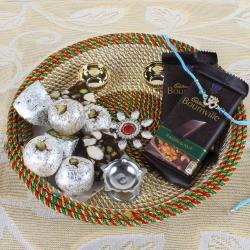 This Rakhi Puja Thali will complete your celebration and will also make your brother feel special. When your brother receives this beautiful gift hamper, he will surely get to know the values of your emotions and sentiments. Moreover, he will also get to understand your deep love and affection towards him and will make him feel proud to be your brother. 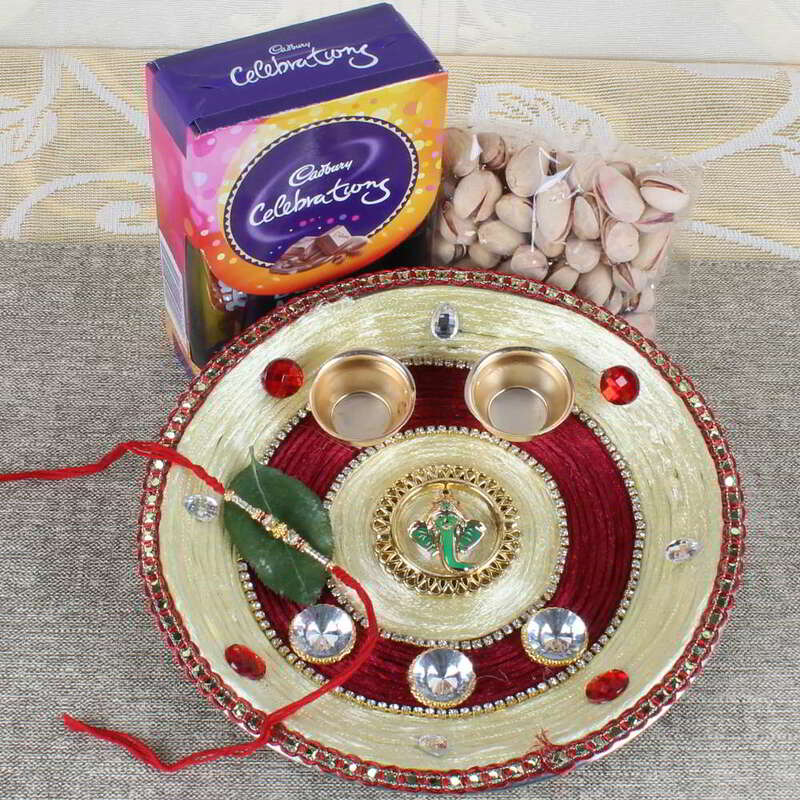 Product Consist: Traditional Shiny Puja Thali, Charming Shiny Rakhi, Pistachio (Weight: 100 gms) along with Mini Cadbury Celebration Chocolate Pack (Weight: 63 gms).